Istanbul, the city that is the gateway to Georgia, Azerbaijan and Uzbekistan, also combines perfectly with Hungary and Croatia, both in terms of history and travel experiences. It is certainly one of our favorite destinations and one visit can never be enough! 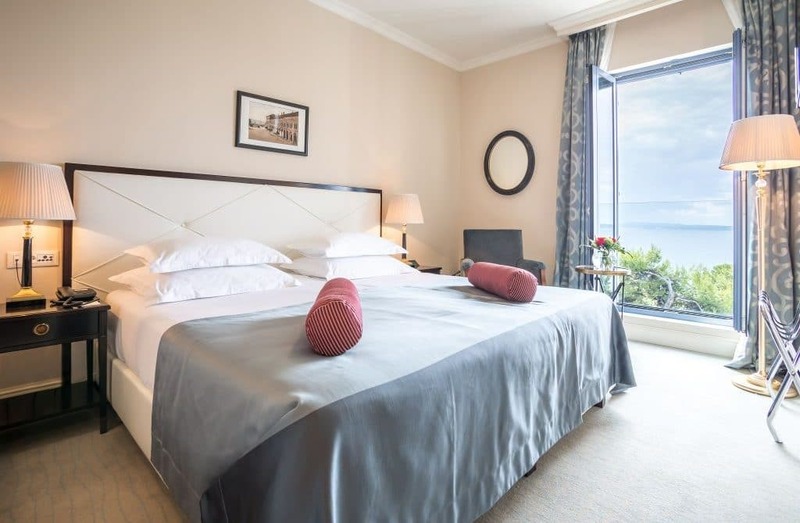 The number of luxury hotels to choose from is overwhelming and now there are two more jostling for recognition at the top. We firmly believe in the location, location, location mantra and depending on how many prior visits you have had to the city, we think that the location of the two new major luxury hotel openings in Istanbul are great if you want to experience the city like an Istanbul. 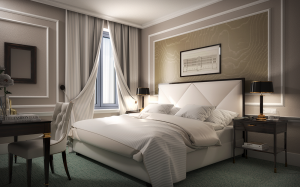 The St Regis opened on March 1st in Nişantaşı (Ni–shan-tash-ay) which is the Turkish equivalent of 5th Avenue or London’s Knightsbridge, with luxury stores and upscale restaurants on your doorstep. 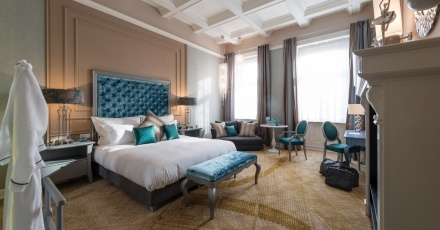 The St Regis Istanbul is just a short drive to Beyoğlu (Beyo) Taksim Square and the bohemian antique hunter’s paradise that is Çukurcuma (Choo-kurg-uma). The jewels of Sultanahmet are also only a short drive away. 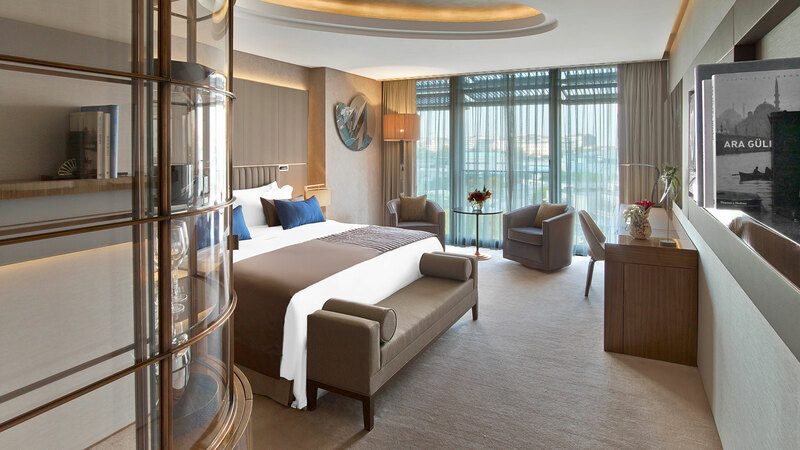 Located at the heart of the Zorlu Center, the FT calls the location of the new Raffles Istanbul ‘an emerging hub for fashion, food and the arts on the European shore in Besiktas, Raffles Istanbul overlooks the Bosphorus and Princes’ Islands’. All the rooms are HUGE and all have a view, but the best views are to be had from the 22 signature rooms, all with private balcony. 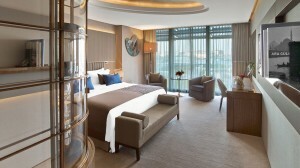 We think these are some of the best-designed rooms of any hotel in Istanbul; simply stunning. 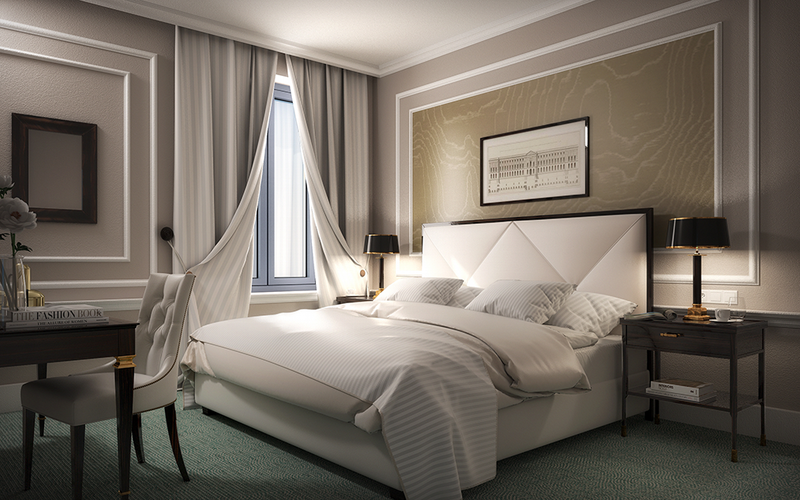 Over in Budapest, March will also see the opening of the much awaited Aria Hotel, sister to the Library in New York City and the Aria in Prague. In a fabulously central location in Pest, the hotel was formerly a bank, so think grand building and space. Just 49 rooms, all themed to a musical genre, the rooms are spacious, light and bright. The more conservative may prefer to request a room in the classic wing if they want to avoid a Warhol of the Fab Four! 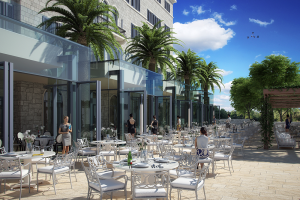 Once summer arrives, we think the rooftop bar will be a huge hit with visitors and locals alike. 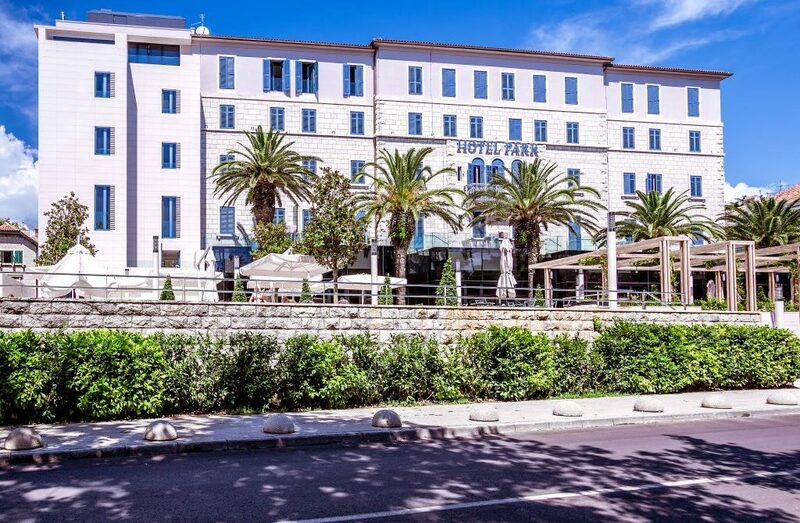 Perhaps the most anticipated opening (actually a re-opening) for our team at Exeter International will be the Hotel Park in Split later this year. 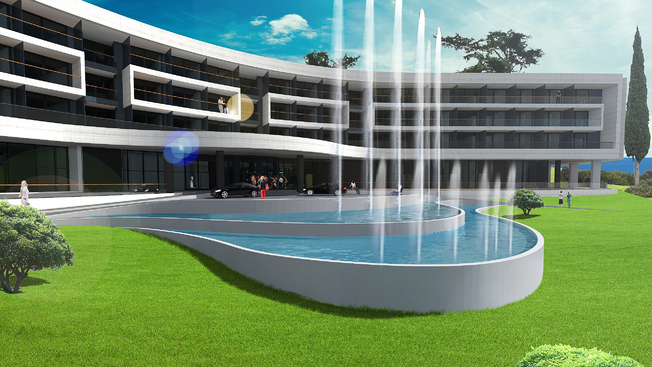 The hotel is confidently counting down the days to opening on July 1st 2015. A historical building built in 1921, the Park had fallen into disrepair before it was closed last year for a total transformation. Split is Croatia’s second largest city, with a wonderful atmosphere and incredible history. 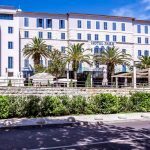 A restored historic hotel is exactly what we have been waiting for! 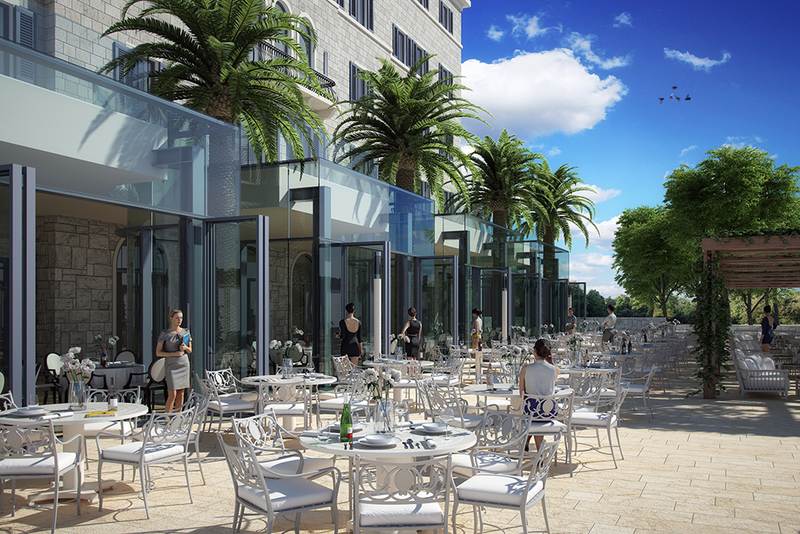 This will also be the first deluxe hotel in the center of historic Split with sea views. Also slated for opening later this year (but we think, from our experience, not until 2016) is the new 250 room Sheraton Dubrovnik. 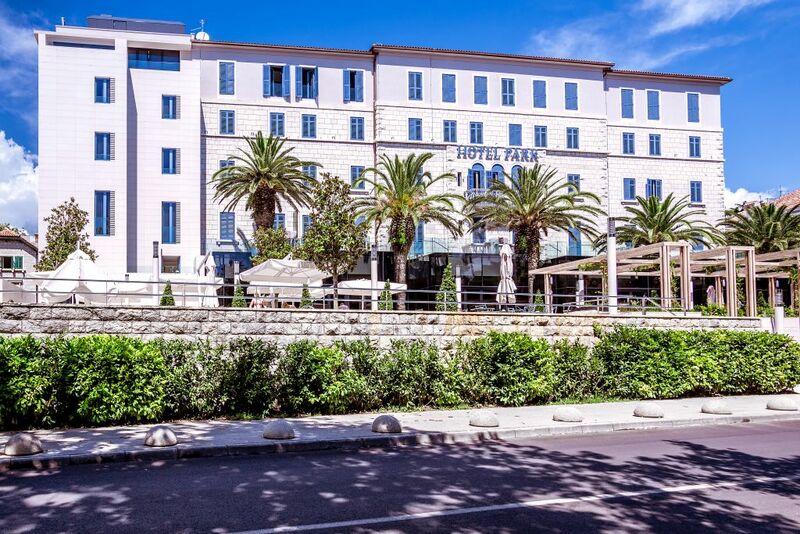 Although Dubrovnik has many hotels, the best are always in great demand and we hope that the modernist architecture in the artist’s rendering will enclose equally stylish interior design. Our team has been in each location very recently (in Budapest last week!). 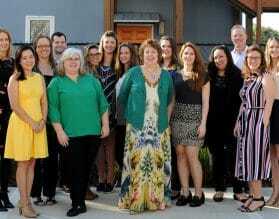 Call our Travel Experts for totally personalized travel advice on (800) 633 1008.